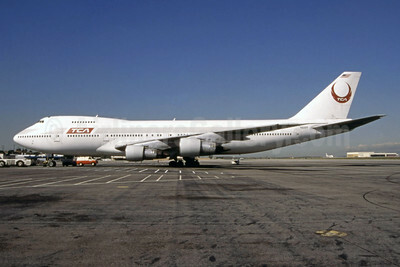 (FF/TOW) (New York-JFK) 1983 - 2000. Photos. Framable Color Prints and Posters. Digital Sharp Images. Aviation Gifts. Slide Shows. 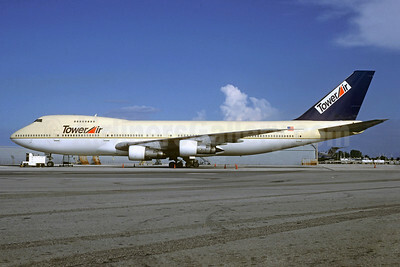 TCA (Trans Continental Air) (Tower Air) Boeing 747-238B N614FF (msn 20534) LAX (Winfried Giese - Bruce Drum Collection). Image: 944701. 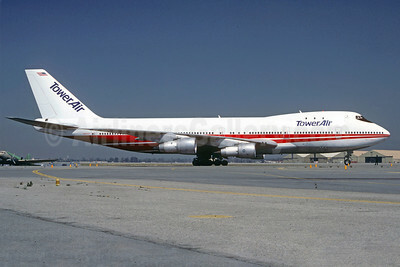 Tower Air - QANTAS Airways Boeing 747-131 N93117 (msn 20322) (TWA colors) LAX (Brian J. Gore - Bruce Drum Collection). Image: 944812. 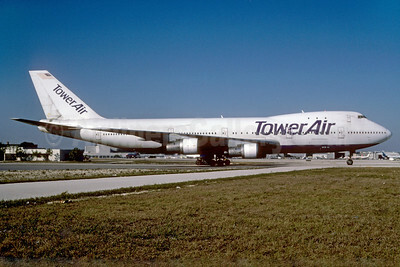 Tower Air Boeing 747-2F6B N623FF (msn 22382) MIA (Bruce Drum). Image: 102758. 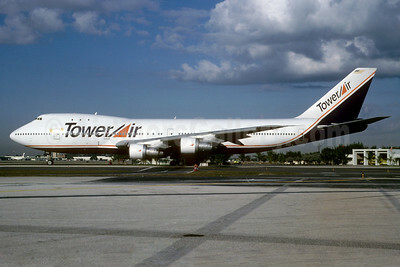 Tower Air Boeing 747-121 N604FF (msn 19659) MIA (Bruce Drum). Image: 102755. 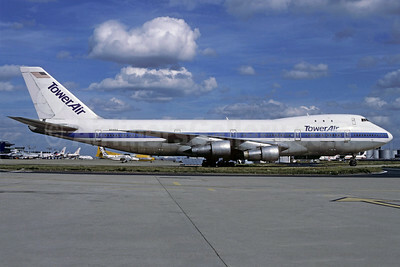 Tower Air Boeing 747-121 N731PA (msn 19637) (Pan Am colors) ORY (Christian Volpati Collection). Image: 911762. Tower Air Boeing 747-124 N602FF (msn 19734) (Saudia colors) MIA (Christian Volpati Collection). Image: 911763. 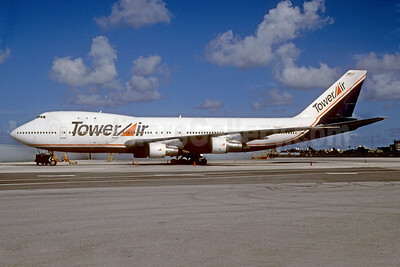 Tower Air Boeing 747-130 N604FF (msn 19746) MIA (Bruce Drum). Image: 102756. 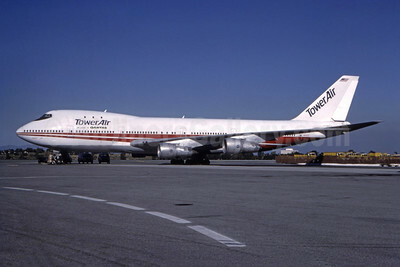 Tower Air Boeing 747-131 N93117 (msn 20322) (TWA colors) ONT (Christian Volpati Collection). Image: 911764. 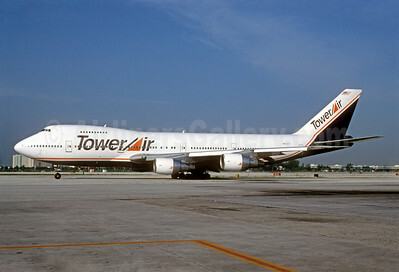 Tower Air Boeing 747-136 N606FF (msn 20273) MIA (Bruce Drum). Image: 102757. 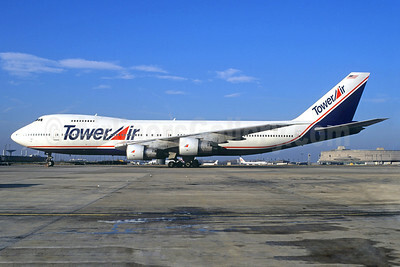 Tower Air Boeing 747-282B N610FF (msn 20501) CDG (Christian Volpati). Image: 911765.